Pot Roast is the ultimate comfort food. 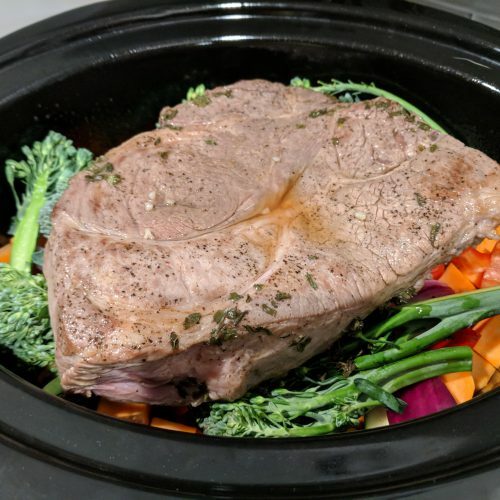 I have to admit that I am not usually the biggest fan of beef roast in the crock-pot however this meat is so tender that it’s hard not to love. 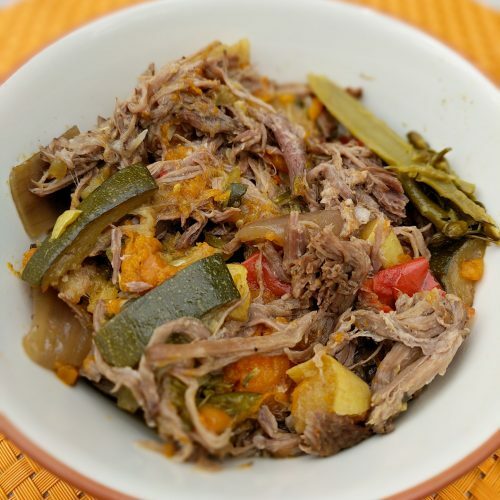 Give this recipe a try, it is packed with tender meat and tons of veggies! 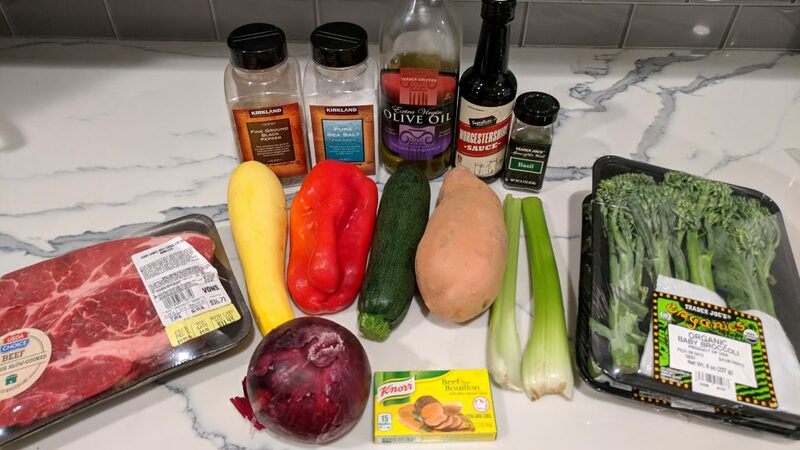 This recipe is super easy to make it just takes a little bit of prep work to cut all of the vegetables and sear the meat. After that, its smooth sailing for the next 10 hours. You can cut down on the prep (and ingredients) if you use a reduced sodium can of beef broth instead of the sauce ingredients in the recipe below. 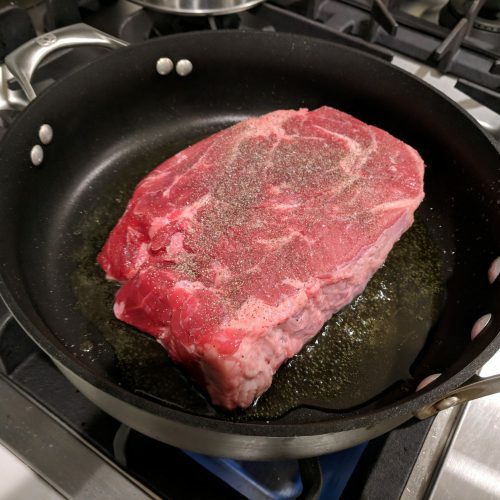 I used a 2.5# chuck roast and had it in the crock-pot for 10 hours. 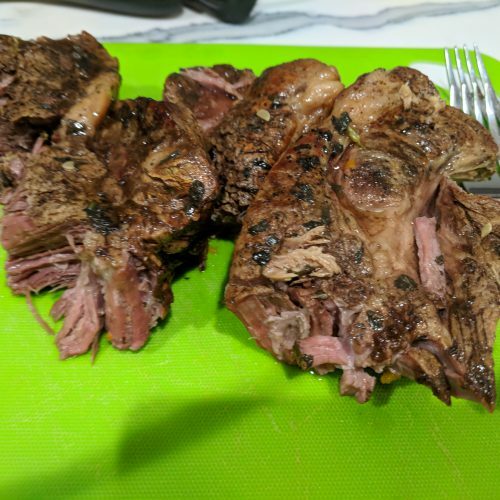 For the first 8 hours I thought that the meat was going to be so terrible and tough, however it really tenderized the last 2 hours. You want the meat to shred easily with a fork (or two) when you pull it out of the crock-pot. That being said the veggies at the end of 10 hours are pretty soft. If you like your vegetables al dente I suggest adding them into the crock-pot half way through so that they end up a bit firmer. 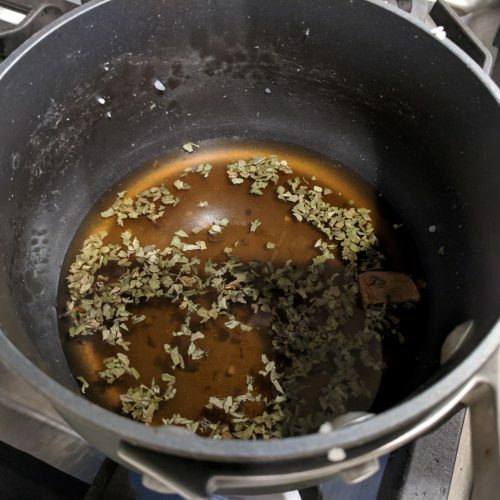 I just left the broth as is from the crock-pot when serving however if you prefer the broth to be more gravy like you can add some cornstarch to it (and stir). I would start with a tbsp of cornstarch and keep adding until it is to your desired thickness. Because the 2.5# roast ended up yielding about 2# when cooked (after fat was removed as well) this made 6 servings with about 5oz of meat per serving. Each serving has 438 calories, 16g carbs, 28g fat and 30g protein. This recipe is also gluten-free! This is the perfect recipe for those gloomy of cold days! Hope you enjoy! spray the crock pot with cooking spray. 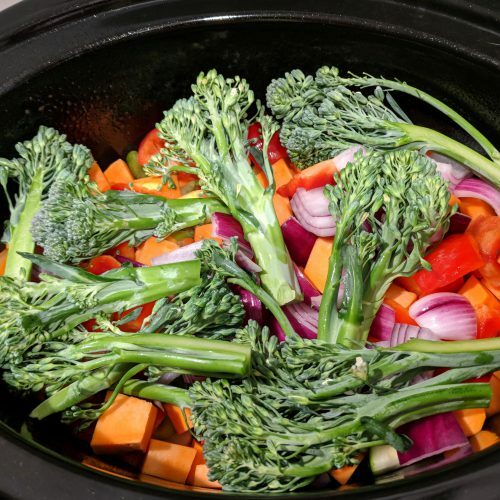 add all cut veggies to crock pot. lightly season both sides of chuck roast with salt and pepper. in a saute pan, heat olive oil over medium high heat and brown all sides of the roast (using tongs to turn meat). add to crock pot. add all sauce ingredients to a small pot and heat until bouillon cube is melted. Pour sauce over meat and veggies. cover and set crock pot on low for 10 hours. take meat out of crock-pot and place on a cutting board. remove excess fat and either shred with two forks OR leave in big chunks. (if you are adding cornstarch to the broth, take out veggies as well and add cornstarch to crock-pot. stir) Add salt and pepper to taste. 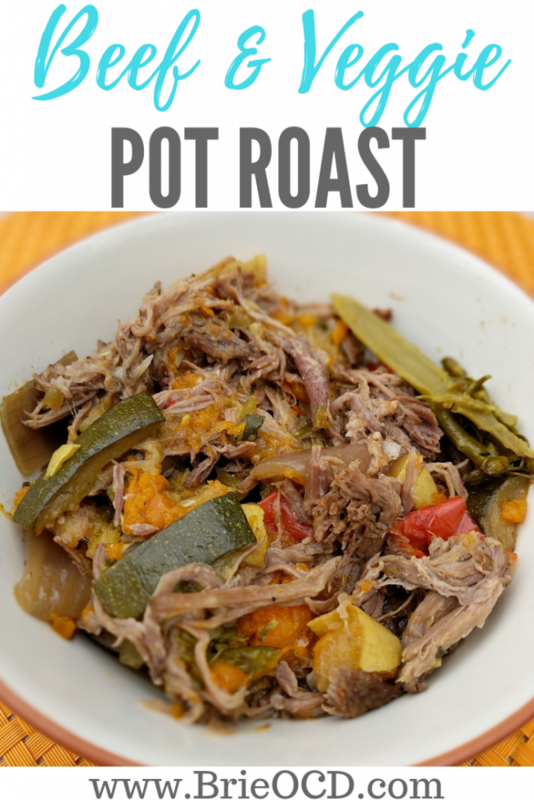 you can add beef back to crock pot and stir OR start plating and top vegetables with beef to customize your macros. serve and enjoy! This was super delicious and so easy! I didn’t have time to sear the meat or make the sauce so I just threw it in the crockpot with the veggies and some beef broth in the morning. So nice to come home to the dinner already made. Everyone really enjoyed it! Enter your email to get healthy!